Barcode Label Maker for Inventory Control helps you to create linear as well as 2d barcode labels, tags and stickers to track and manage inventory or stock details accurately. Software generates barcode images using random, sequential and constant value series generating option. Barcode Maker program is developed with inbuilt color settings to generate colorful barcode images for tracking inventory process. Barcode Generator tool allows users to save designed barcode images in different file formats such as JPEG, TIFF, Bitmap, PNG, WMF, EMF, GIF and EXIF. 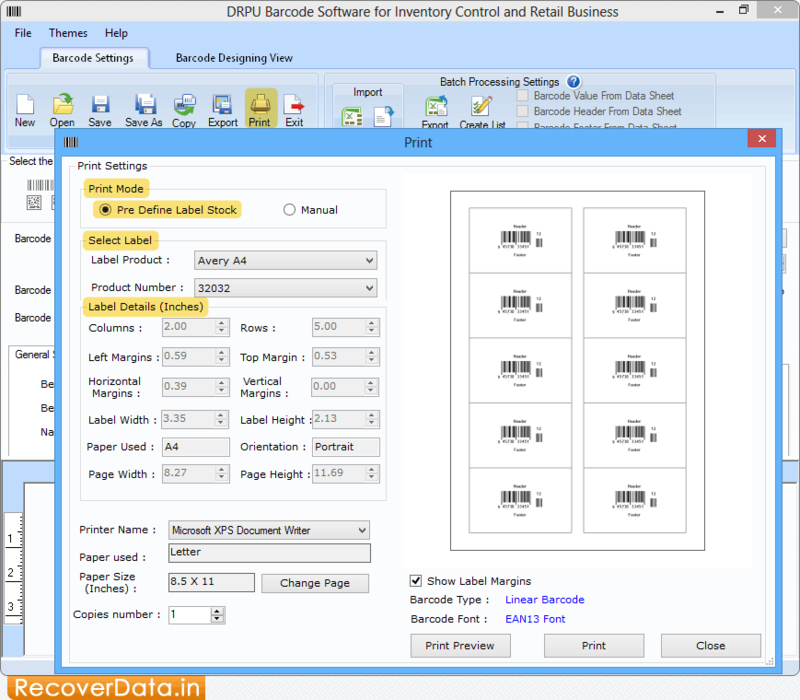 Creates linear and 2D barcode images to manage stock details. Generates multiple copies of labels with different barcode and text value. Barcode software is developed with, pencil, line, text, rectangle and other designing objects to create printable barcode images. Software provides General, Font, Color and Image settings to generate attractive barcode labels. Barcode Maker software provides flexible printing settings to print designed barcode labels.